I could have used fancy parallels at work but i wanted to show that anyone can do this at home in their backyard. Some careful work the with a hand scraper should do the trick. 9 iron delicate work indeed. Are you hoping to move the vibes lower down in the rev range with the .625 factor ? Editied for this frigging fruit phone sabotaging me again. I'll try it on my 02 crank tomorrow and see what results I get. 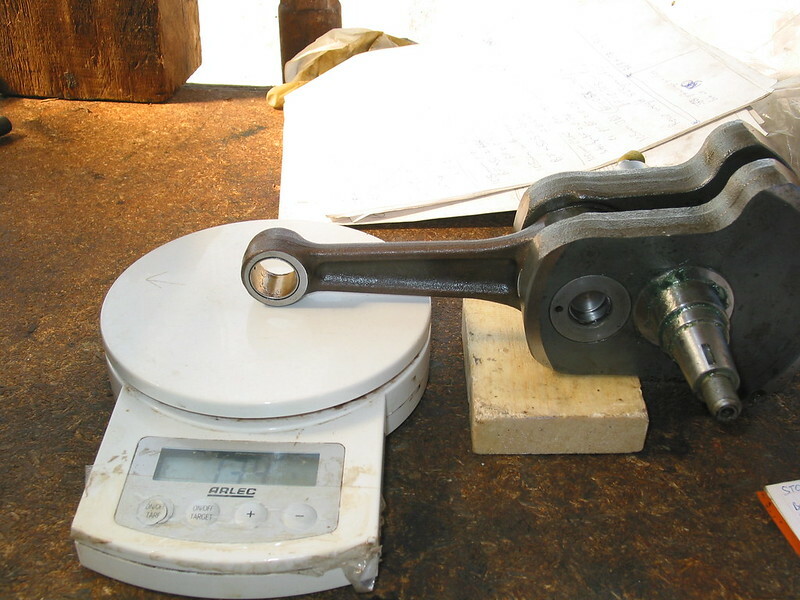 I thought that the calculation should use the whole conrod weight, not just only the little end? Or is this method considered "close enough"? 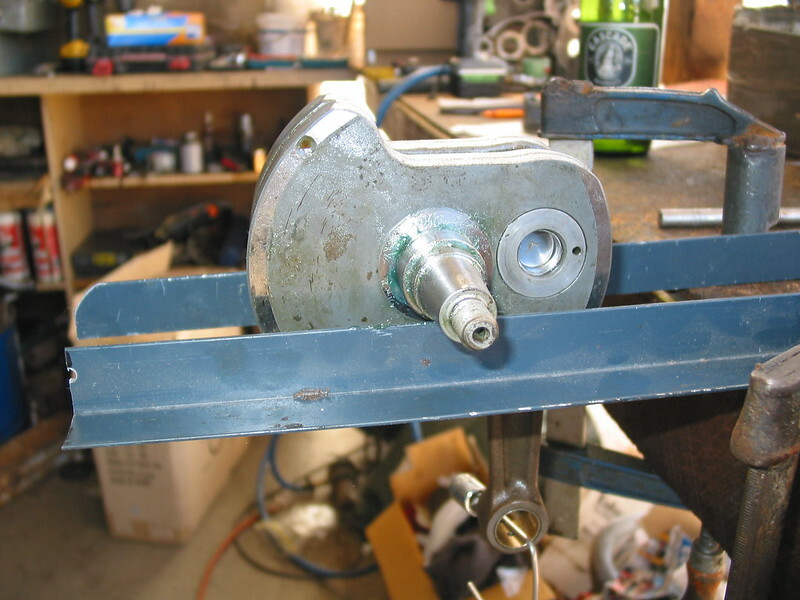 Those of us still having the counter balancer in use, will also get a contribution to the reciprocating mass from the counter balancer... Years ago, I set up the whole crank, rod, piston and counter balancer in "Working Model". It was interesting to analyse, but I soon realized that I didn't know what theoretical performance gave the best practical result. So I just had to return to what BF worked best I a particular engine and frame... So much for trying to be "clever"! that sounds like an interesting model ! 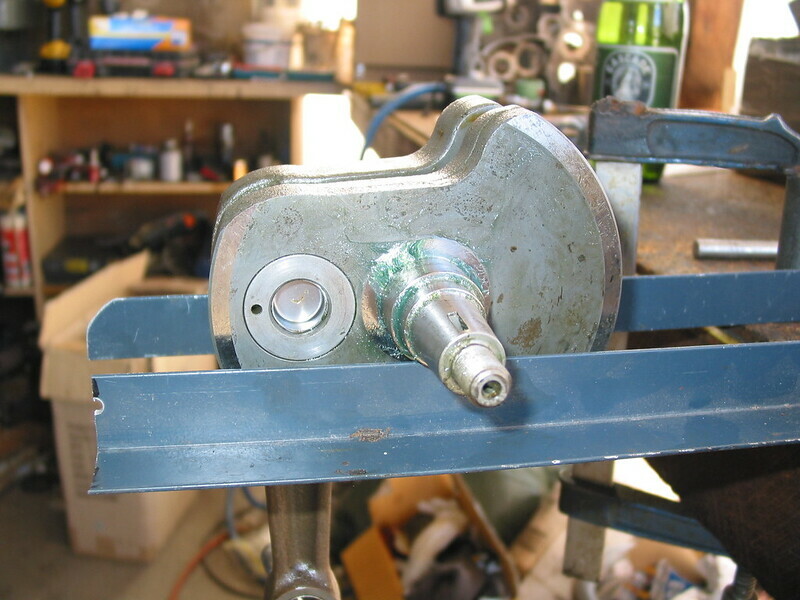 the formula in tuning for speed is indeed very basic and I think to be absolutely "correct" even the stiffness of the crank itself would have to be considered because these ones flex so much. but as you pointed out in the end as with most seat of the pants stuff we just try something and then see how it works .. or in this case feels. and yes this is primarily useful for removing the counterbalancer. Im running about 0.55 ATM and its not as good as 0.58 so im just going to try going a bit further in that direction. different bike different piston etc so just a place to start. if you wanted to remove the CB without re balancing the 80mm crank I think it would feel OK if you spent most of the time above 3-4000 rpm. be interesting to see what your crank is plumbob .. apparently it feels horrible without the cb so whatever it is would be worth noting. just a quick note to say all the con rods I have are different by a few grams here and there and so are the cranks and considering the difference 3% makes you really should measure your own crank to be sure. SO that should be good if i remove the balancer right? 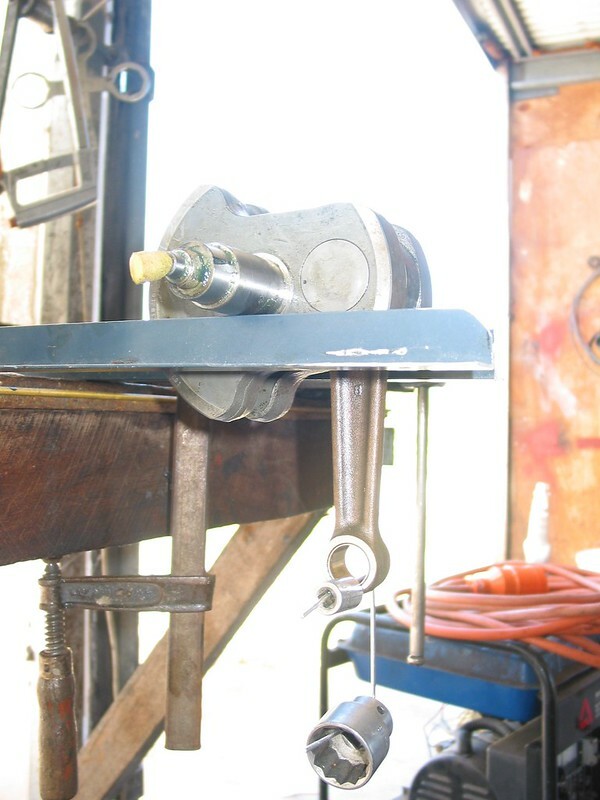 At the moment with the balancer it has real harsh vibes between 4 and 5000rpm.